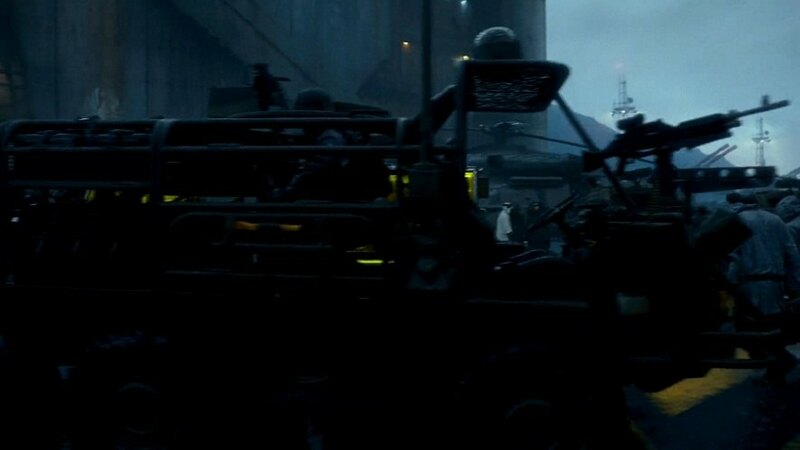 IMCDb.org: 1971 Steyr-Puch Pinzgauer 712 in "Pacific Rim, 2013"
It could be an original Steyr-Daimler-Puch Pinzgauer with a cut-down cab. Much more likely to be an original Steyr-Daimler-Puch Pinzgauer, surely. Gag Halfrunt wrote It could be an original Steyr-Daimler-Puch Pinzgauer with a cut-down cab. Sorry, but NO, it isn´t a Pinzgauer 716!